Osteoarthritis is commonly referred to as wear-and-tear arthritis. However, researchers are now finding out that it is not entirely about worn cartilage. There are other parts of joint anatomy such as subchondral bone that play a significant role in osteoarthritis. Subchondral bone is the layer of bone just below the cartilage in a joint. the -chondral refers to cartilage, while the prefix sub means below. Subchondral bone is a shock absorber in weight-bearing joints. It has many blood vessels supplying it with nutrients and oxygen and taking away wastes. As cartilage doesn't have its own blood supply, the close association with the vascularized subchondral bone is what keeps the cartilage nourished. These vessels provide over half of the hydration, oxygenation, and glucose for the cartilage. The health and function of the subchondral bone will make a difference in the health of the cartilage that lies just above it. In osteoarthritis, the subchondral bone becomes thicker than usual. Evidence has suggested that the thickening happens before the articular cartilage starts to wear away—an indication that subchondral bone plays a role in the development of osteoarthritis. Studies have found that before osteoarthritis develops there can be an increased rate of turnover of the subchondral bone, as measured by scintigraphy. Some process is causing the bone to be stimulated to need to break down and repair itself. This naturally releases more by-products of that metabolism into the blood supply that nourishes both the bone and the cartilage. Subchondral bone attrition is the flattening or depression of the articular surface. 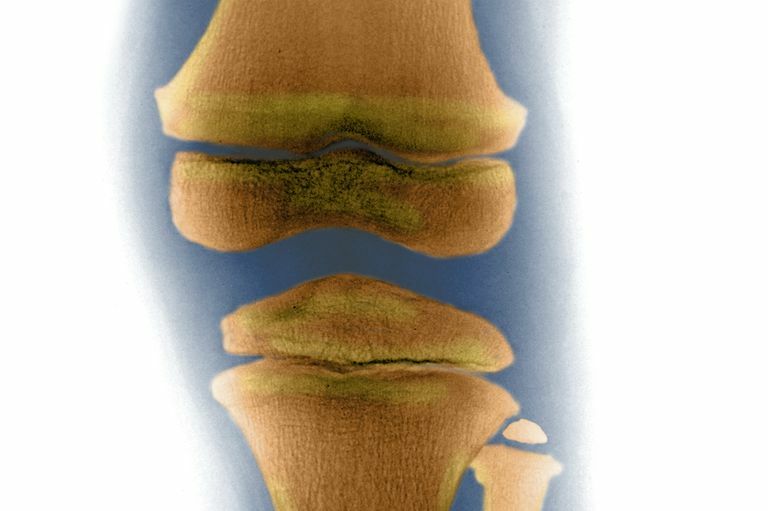 It is seen in early knee osteoarthritis and its presence predicts whether cartilage loss will develop and also whether the knee compartment will have a malalignment. Subchondral bone marrow edema-like lesions and subchondral bone attrition are often seen together. One theory is that wear and tear on the knee cause micro-fractures that are then in a constant state of repair. This activity produces enzymes and proteins that may have further effects on the adjacent cartilage. Researchers have also discovered that subchondral bone tissue produces several similar cytokines and growth factors (proteins) that can cause inflammation and changes in cartilage tissue. What exactly is going on and which chemicals might be the most responsible requires further research. Whether subchondral bone changes are what produce loss of cartilage or whether they follow it is the chicken-or-the-egg question for further research. Which comes first? Is another process driving both? Is it really all caused by wear-and-tear or there another primary cause? Subchondral Cyst: This is often seen in osteoarthritis, it is a fluid-filled sac that extends from the joint. It is a very common finding on X-ray but doesn't require draining or other treatment. Subchondral Sclerosis: This is increased bone density or thickening in the subchondral layer, seen on X-ray for osteoarthritis. It is one of the radiographic hallmarks of the condition.